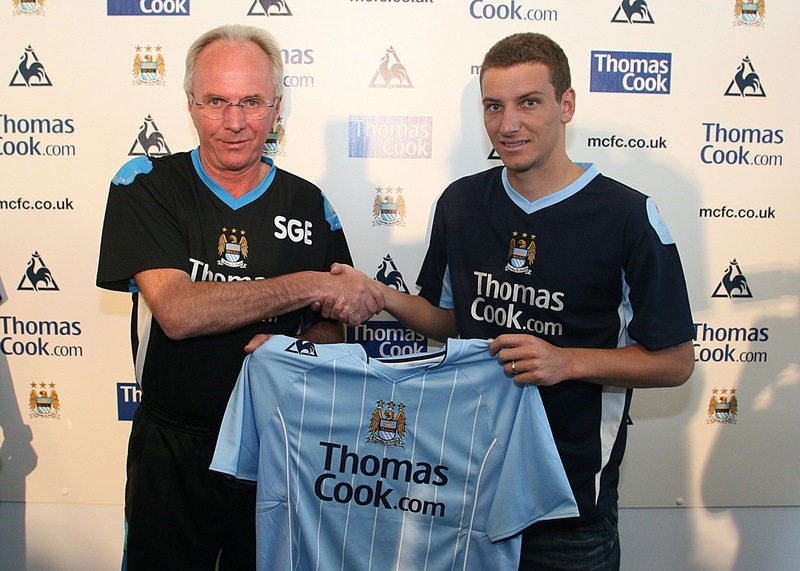 Remember Elano’s first few months at City? He played like a God, scoring wonder goals for fun, and generally giving fans the impression that Sven had signed the next Kinkladze. Then, disaster! Sven got the boot and Elano’s mojo vanished. Hardly a surprise. Is this a mistake by Sparky? Personally, I think so. Elano, who is still a regular in Brazil’s national team (that tells a story), was City’s one true creative link player, not to mention the club’s best striker of a dead ball. Fair play to Hughes, I suppose. Elano was not his signing and so Sparky has ditched him, using the tried and tested Alex Ferguson Method: if a player doesn’t respect you, get rid of him. Simple. 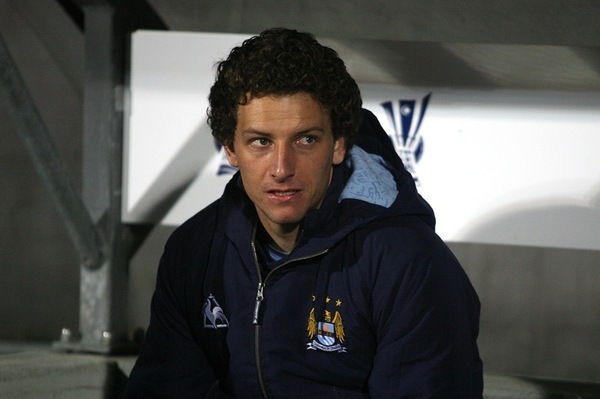 Elano will always be remembered fondly by City’s fans though. One to file under “what might have been”, I think. Do you think Hughes has made a mistake in selling one of his only true playmakers? I think I need to point out that Elano although playing like a god at times was too inconsistent both under the Sven and the Mark Hughes regime. I am not doubting his ability as he surely has it in bags but what I am doubting is his commitment and I think his lack of commitment was prevalent throughout last season when both he and Robinho failed to turned up on many occasions. If we are ever going to win anything we need to rid ourselves of those who take the attitude that they will play when they want to play. They may sometimes play like god but they have to stop acting like they are a god. When I play football I work my socks off although I am not the best player on the pitch I put a good effort in every time. On the other hand there are those players who think they are gods gift and lose the ball often, give goals away and fail to present themselves when the chips are down. I will miss him as a City player but he’s not for our future in any shape or form and I fear unless Robby gets his head in gear then he too will be leaving on a Jet plane although I hope not in his case as I really like the guy. But liking someone isn’t going to win games! Good move shipping Elano out? Yes in my opinion! Moving on up with City! I was gonna say something then i read MankManUK comments and i think hes summed it up perfectly, outstanding player when he could be bothered but too easily upset and too large an ego for a club still trying to achieve. and im in full agreement about Robinho, cracker of a player but again, seems easily upset, im looking for him to provide some consistency next season! gonna be an intresting season for the Blues! Its a shame he had to go – I think it was just down to motivation for the player himself. Just like Gazino and mankmanuk said – Elano has bags of talent but never consistent – only game he really worked his socks off was in the last UEFA cup game City played in – and it really showed. i fail to understand how sparky wants his team to play. at blackburn he bought the strong tough guys who could throw themselves about because necessity dictated. he could never afford the skilful creative players like elano. now he can afford them, and hes continued buying that kind of player, with the exception of robinho and wright phillips.